CNN is reporting that a group called the Seasteading Institute has drawn up plans for the construction of a floating town in the Pacific Ocean, only miles off the coast. Pack your marijuana and your alternative government and head for the islands -- the man-made ones that could be built off of San Francisco in the coming years. 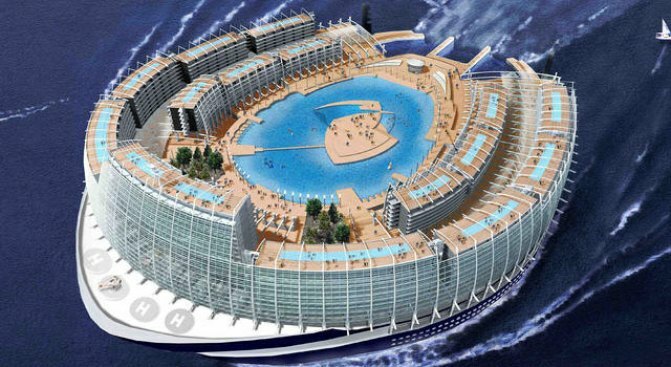 A group called the Seasteading Institute has drawn up plans for the construction of a floating town in the Pacific Ocean, only miles from San Francisco, CNN reported. According to a former Google engineer, Patri Friedman, who is with the group, the floating cities would be perfect places to experiment with alternative forms of government. The institute has about 600 members. Some of the ideas they have floated include legalizing marijuana and making intellectual property communal. "The idea isn't just about getting away from rules or getting rid of rules. It's about a system that encourages experimentation with different political systems," Friedman told CNN. Group members said they know that similar ideas have popped up in the past but have never come to fruition. They say they hope to have the time, energy and money to make it happen. Their prototype for the first floating city, which could look a bit like an oil platform and might include buildings that can move around, could be done in three years.